Thresholds employees are real-life superheroes. Each staff member contributes to providing life-saving mental health services with heart and an unparalleled focus on recovery through innovative, evidence-based practices. Thresholds currently has a variety of open positions including clinical, facilities, and administrative job opportunities. We also have a number of clinical internship opportunities as well as occasional administrative internships. Named a Chicago Tribune Top Workplace and a 10-time winner of Chicago’s 101 Best and Brightest Companies to Work For, Thresholds follows our employee’s example of excellence by going above and beyond. We offer competitive benefits and compensation, and exceptional professional development opportunities. We are seeking top talent to add to our great programs. Come join us! Thresholds is committed to creating a diverse environment and is proud to be an equal opportunity employer. 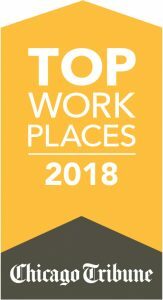 For more about why Thresholds is a top work place, check out this video. Thresholds has been recognized with achievement awards from the American Psychiatric Association, the Substance Abuse and Mental Health Services Administration, the U.S. Psychiatric Rehabilitation Association, the National Alliance on Mental Illness and Chicago’s 101 Best and Brightest Companies to work for from 2006-2011 and 2014-2017. For assistance, or accommodations with your application, contact our Talent Management Team at (773) 572-5254. To view jobs and apply for open positions and internships, visit our jobs board.